This book is like a cross between Dr. Seuss and Robert Munsch. 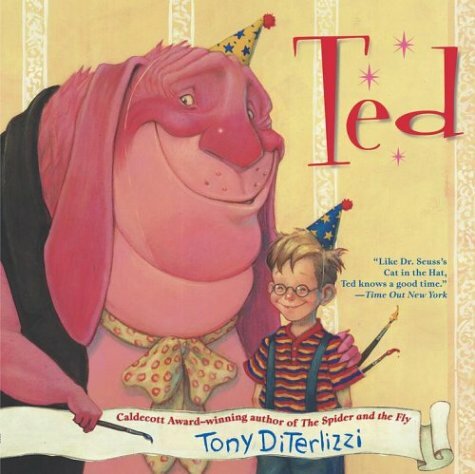 A little boy has a strange friend arrive a week after his birthday, this friend named Ted knows how to have fun and shows the young boy a good time. But every time they try something different the young buy gets in trouble. Soon the boy is being yelled at by his father saying that he is not allowed to play with Ted anymore. If Dad was not always busy maybe he could play with the boy. This was a wonderful book, and it will remind parents of the importance of play and telling children that they are loved. 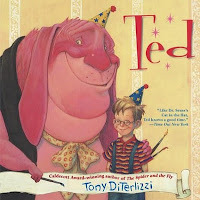 Another great book by DiTerlizzi.